563 Park Avenue designed by Walter B. 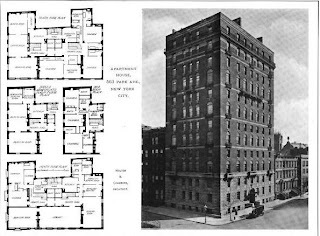 Chambers c. 1909 at the corner of East 62nd Street in New York City. 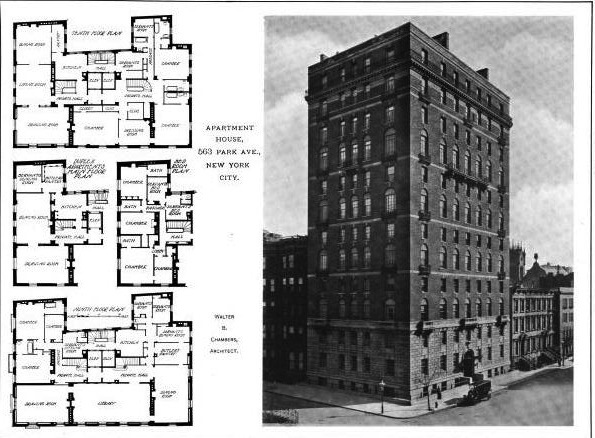 Click HERE for a 1909 NYTimes article on the building and HERE to see 563 Park Avenue on google street view. I have passed that building many times but never paid much attention to it; I guess I was more focused on the Colony Club across Park Av. Handsome, though. And the original floor plans were well thought out, too.